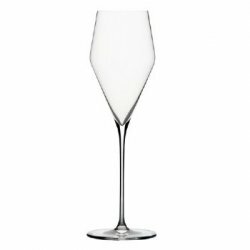 Hand made, mouth blown, non-lead Champagne wine glass good for all types of sparkling wines. "The glasses from Zalto will inspire you and force you to re-evaluate your relationship with whatever stemware is in your collection. While priced at a premium, this still provides exceptional value compared to the top line offerings from Riedel, Spiegelau, et al. Elegant in your hand like in a way that no other stem achieves, this glass elevates even the most pedestrian of wines to Grand Cru status. The Zalto glass brings a sensuality and seductiveness to wine drinking that is missed in these days of exhibitionist wines. Drawing you in closer, it whispers the pedigree of what's in the bowl, and allows the wine to tell its tale - heartfelt, honest, and transparent." Zalto Stemware is praised worldwide. These wine glasses originate from a boutique factory in Austria, and are recognized all across Europe by the wine industry. Additionally, Zalto glasses are praised by many critics such as Robert Parker, as well as journals like the L.A Times, the Wall Street Journal, and Bon Appetit. 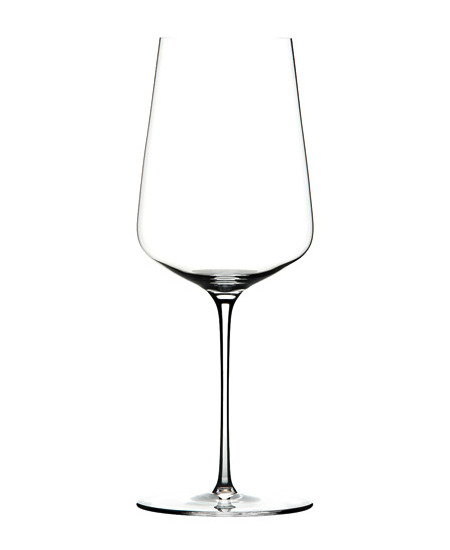 Zalto Wine Glasses are incredibly light weight with a beautiful balance. Gary LaRose, the owner of Rosehill Wine Cellars, loves them and uses them regularly at home. Please note that Zalto glasses are dishwasher safe.